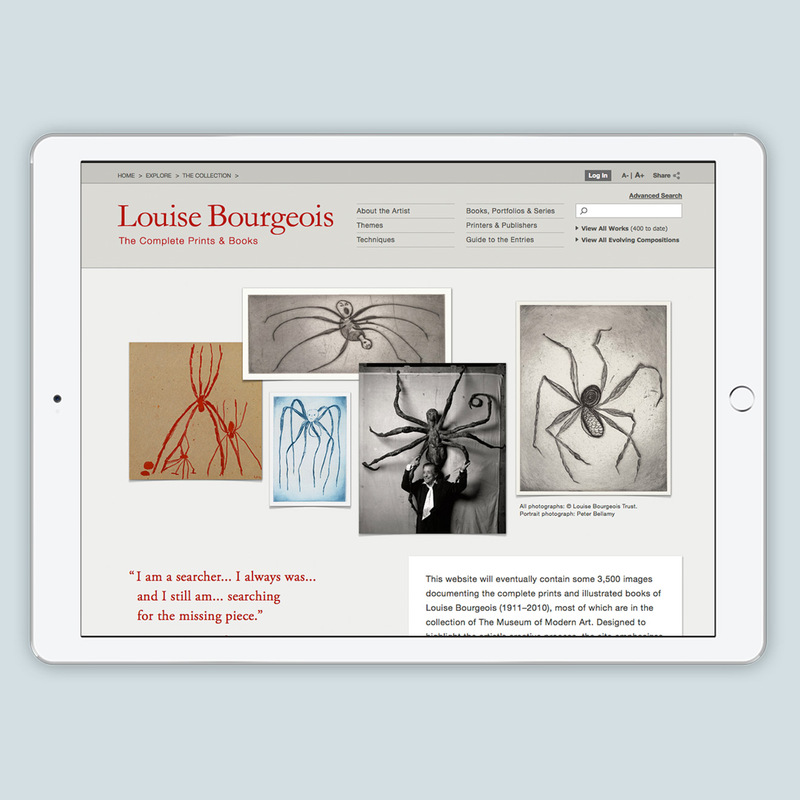 We are beyond thrilled to unveil our latest project with MoMA: the catalogue raisonné of the prints and illustrated books of Louise Bourgeois. Designed to ultimately showcase more than 3,500 images through incremental updates over the next three years, this first installment includes over 400 images that focus on the themes of spiders and fabrics. In addition to highlighting the artist’s creative process, the site emphasizes the steps in the evolution of particular print compositions and reveals the comparative relationships between Louise’s prints, drawings, and sculptures. Not sure where to start? Ode à l’oubli is a favorite amongst the KMIP crew. Louise Bourgeois: The Complete Prints & Books For more information, check out the full case study.